South Korea’s military on Tuesday held a ceremony to formally start the assembly of its first domestically developed submarine, slated to be deployed in the 2020s. The Defense Acquisition Program Administration said the keel laying ceremony -- which officially recognizes the start of a ship’s construction -- for batch 1 of Jangbogo-III submarine was held by its builder Daewoo Shipbuilding and Marine Engineering Co. The steel cutting ceremony for the vessel was held in November 2014. Daewoo had also built the Navy’s 209-class Jangbogo-I and won a maintenance contract for the submarines, according to the company’s officials on Tuesday. South Korean Navy’s 209-class submarine / Daewoo Shipbuilding and Marine Engineering Co.
Jangbogo-III, named after the legendary admiral during the ancient Korean dynasty of Silla, will be the first 3,000-ton submarine operated by the Navy. The largest submarine currently in use is the 1,800-ton 214-class submarine, the most recent of which was launched last year. The new submarine will be equipped with six vertical launching systems capable of firing ballistic missiles. The navy will reportedly equip the Hyunmoo-2B surface-to-surface ballistic missile with a range of 500 kilometers and payload of 500 kilograms. Acquisition of the 3,000-ton submarine has garnered attention here in light of North Korea’s test-firing of a submarine launched ballistic missile last month. The Defense Ministry said the launch demonstrated some level of progress in the North’s SLBM program, including an underground ejection of the projectile. Seoul’s official position on the expected deployment of the SLBM is that it will take three to four years. But officials have said it may take less time if the communist country concentrates unconventionally large amounts of resources into the project, which hinges on the will of its leader Kim Jong-un. A military official, who requested anonymity due to the sensitivity of the issue, said that North Korea is believed to be developing a 3,000-ton submarine that will equip multiple SLBMs. The currently used 2,000-ton Sinpo-class can only equip one ballistic missile. “Being a dictatorial state that operates under orders from Kim, we can’t accurately predict how much time it will take to launch (the 3,000-ton submarine),” the official said. North Korean navy is currently thought to have over 80 submarines, far outnumbering the 14 operated by the South. But its larger submarines are mostly comprised of the 1,800-ton Romeo-class submarine, and the Pyongyang-operated Romeo-class submarines are reportedly designed without considering the equipment of ballistic missiles. Pyongyang is believed to have one Sinpo-class submarine that was influenced by the designs of the Russian-built Golf-class it brought in the 1990s. In a 2015 report, the Research Institute for National Security Affairs said that technical difficulties would hinder the North from equipping SLBM on a Romeo-class. It added that a new vessel influenced by a more modern Golf-class would be able to equip the SLBM. There have been calls that the South should develop asymmetric military capabilities by powering the new Jangbogo-III -- at least from batch-2 -- with a nuclear reactor. 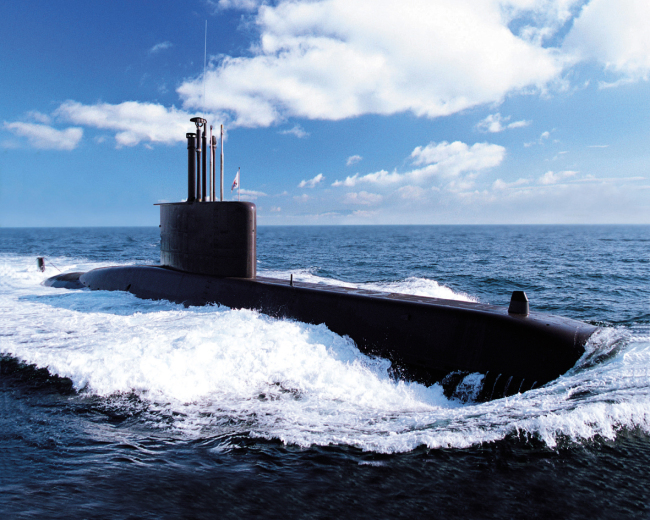 Moon Geun-shik, a defense analyst at the Korea Defense and Security Forum, stressed that the strategic values of a nuclear-powered submarine far outweighs vessels that have diesel engines. He warned that absence of a nuclear-powered vessel would mean that South Korean continues relying heavily on the U.S. for anti-submarine operations.